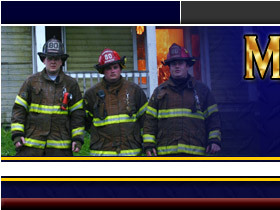 MVFC 4th annual Spring Raffle Underway!! 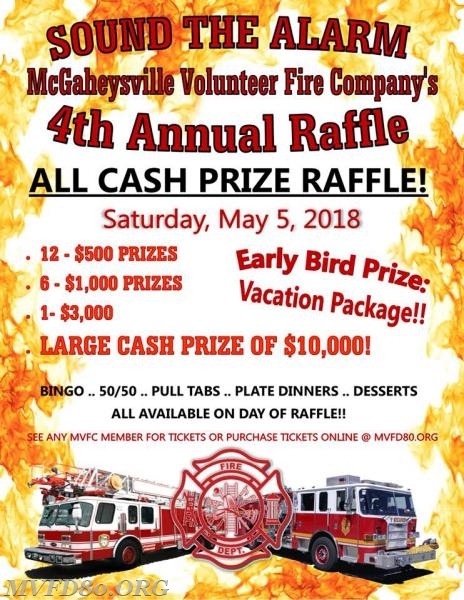 The 4th annual McGaheysville Volunteer Fire Co. Spring Raffle is now underway! This year we have all cash prizes from $500 to $10,000! Totaling over $25,000!! There is also a special early bird prize of a Vacation Getaway for those who get their tickets before 1/31/18! Hurry and get your tickets now! Only 2500 tickets being sold! See our website or Facebook page to purchase and for more info! Credit Cards and Paypal accepted!!! Also see any member for tickets!